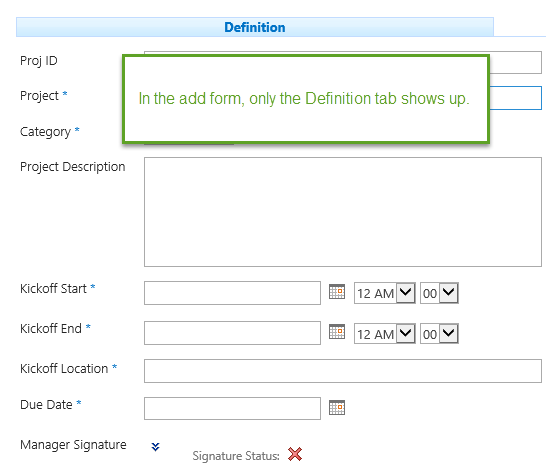 In the example provided, we only need to show one form on add. 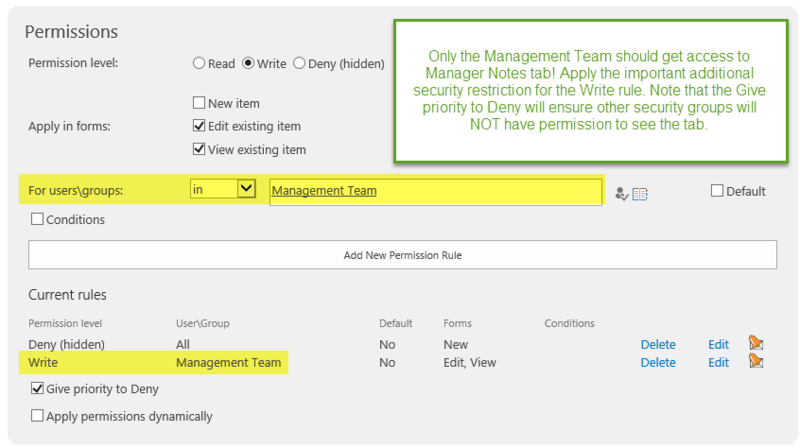 Also, we need to make sure that only managers can view the managers notes section. 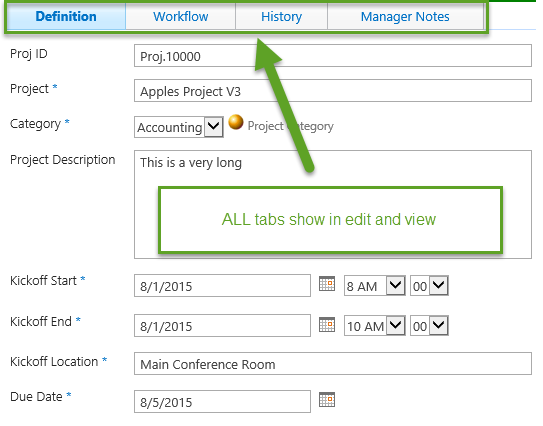 In our example, we want to show only the definition tab when a new project is added. Therefore we should hide the other tabs for new projects. Note that Give priority to Deny is enabled by default. We should next create a rule to allow permission to the content when not doing a new add. Before doing this, check what happens to the tab when accessing the form for edit or view. The tab is always hidden! This is because Give priority to Deny dicates that the content will be denied unless explicitly added by a rule. 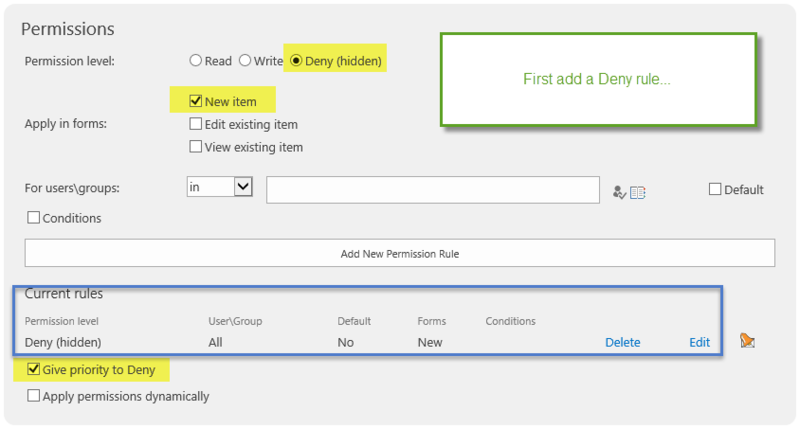 Therefore when you create a permission on a tab or field the default allowed permissions are removed completely. 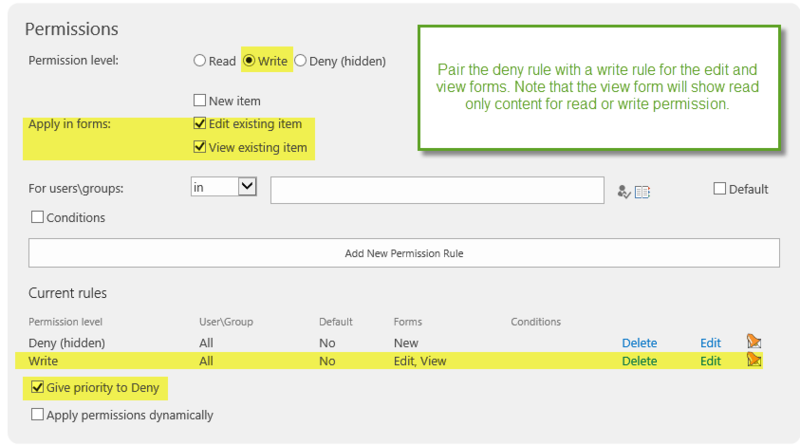 When using the deny permission you must also explicitly create rule(s) to define when the content should be viewable. Apply the same pair of rules for each tab that should NOT be shown on the add form. Check your results to be sure that the expected tabs are hidden for the new form AND that they are shown on the edit and display forms. Please click here to view part 3 of 3.